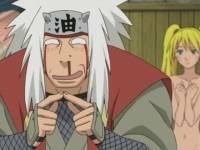 Jiraiya(OD) had the most liked content! The fun part is that your witch can go tank. In this game any character can be anything its not like D2 or D3. All depends where you put your points and what gems you use. Some characters are better for different build because the points u spend in skill tree are much closer to your build but overall anyone can be anything. Like any other arpg xD Basically the first thing u need to do is complete the 10 acts (story line). Its like D2 run, kill mobs do quests until u done the main story once that is done, you can do much more. Join us on TS. The game is fun but indeed could be complex to new players, specially when you see the talent skill tree. What I could suggest you is maybe YouTube some videos about beginner guide build for the current league (Synthesis) or something similar to it. If you like to play in a particular style we can always suggest you something. The best thing to do in this game is pick a build guide and follow it but gotta make sure that its not an expensive build specially for someone who just begun to learn the game. Hello everyone, I'm currently thinking to connect my playstation 2 steering wheel to my PC. Don't know if someone ever tryied it. My questions are the following: Can I only use a playstation 2 to PC adapter (plug and play)? Do I need to completely rewire the circuit board? Do I have to reconfigue buttons with something like joy2key? Thanks in advance. How to speak to other players? Yeah seems like you need an Y splitter. You can get an Y splitter in stores like walmart, bestbuy. You don't need to buy an entire new headset. Never tried connecting my headset with usb even if they came with it. I'm using an Y splitter (that also came with my headset). Don't know if USB can replace Y splitter but you do need an Y splitter to separate the audio and voice. You can also try by going into TS3 settings and assign the device in their. Go to Tools -- options -- playback. In playback device pick your headset. Then go to capture and also select your capture device. And as it been explained early make sure you run TS3 in windows mode. What you can also do is test it in a different program and see if it does the same thing or no.